We are saddened to share that for Frances “Sis” Dreese, the busy world is hushed, and the fever of life is over, and her work on earth is done. Born December 27, 1926 in Laurelton, Pennsylvania to Luther and Naomi (Tharp) Weidensaul. She lived a life of love for people and animals from the very start. She married Charles C. Dreese on October 5, 1946 in Mifflinburg. Sis worked at several places in the area including The Pennsylvania Chair Factory, Lewisburg, Huntingdon Throwing Mills, Mifflinburg, Mifflinburg High School Food Service, and Par Knit Mills, Mifflinburg. At the same time she always kept a meticulous home and cooked and baked many signature dishes for which she was the sole keeper of the recipe. She graduated from Laurelton School. Sis was a member of Emmanuel United Church of Christ, New Berlin, for the last 20 years, and prior to that she was a member of St. John’s United Church of Christ, Mifflinburg. 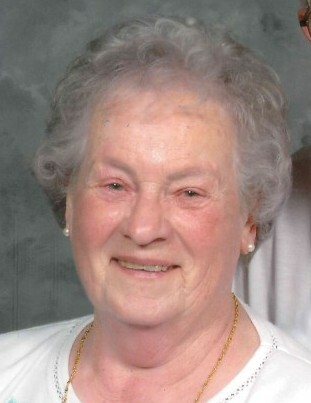 She was an avid card player, picnic preparer, magazine reader and family person. Surviving in addition to her faithful husband of 71 years and 11 months, are one loving son, Palmer C. Dreese, and his wife Rev. Alice Rauch, of Mifflinburg; three grandchildren and their partners/spouses, Dustin Dreese and Erik Flager of Oak Park, Michigan, Karl Rauch and Alicia Holloway of Pottstown, Leslie Rauch and Jeremy Brooks of Mifflinburg; and two great grandchildren, Riley and Andrew of Mifflinburg. In addition she loved her nieces and nephews (many on the Weidensaul and Dreese sides), great nieces and nephews, sister-in-law, Grace Weidensaul. In addition to her parents she was preceded in death by two brothers Percival Weidensaul and one in infancy. Special thanks are given to all those mentioned above and other special people, Pam Libhart, Sharon Dreese, and so many especially caring, humorous and gentle-spirited caregivers at home and at Riverwoods. Family and friends are invited to attend a memorial service to celebrate Frances's life on Friday September 21, 2018 at the Emmanuel United Church of Christ, 326 Market St. New Berlin, PA 17855. Visitation will be from 1-2 pm with the service starting at 2 pm with Rev. James Cope and Rev. Alice Rauch officiating. Memorial gifts may be sent to Emmanuel United Church of Christ, P.O. Box 329, New Berlin, PA 17855 or Riverwoods Chaplain Discretionary Fund, Checks should be made payable to ACS; in the memo line: RiverWoods Chaplain Fund; mailed to: Fund Development Office, 90 Maplewood Dr., Lewisburg, PA 17837.